For those who didn’t manage to get hold of a Kiwi Trail Runner magazine last month here is the featured parkrun article, which is easier to read! It is Saturday, 7.55am and I am wringing my hands with nervousness. I have had a terrible sleep: my skort feels too short and shirt too thin: my calves are clumps of knotted rubber bands. I am standing on a 5km start line and it is my worst nightmare. Give me a marathon. Give me an ultramarathon. Give me almost any trail run, anywhere in the world right now – just not this. I have no idea how to run five flat, fast kilometres. Key to this story is: for the life of me, I have no idea why anyone would want to. Judging by the sea of happy faces around me, I am clearly missing something. And that is why I am here. I have come to experience parkrun at the behest of a friend who is adamant it is ‘a thing’ and I am missing it. Paul Sinton-Hewitt started the parkrun phenomenon at Bushy Park in the UK in 2004. The concept was simple: show up at a local park at a reasonable time every Saturday morning, run 5km with a bunch of mates and grab a coffee afterwards. That’s it. 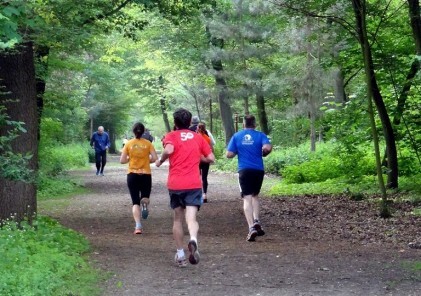 The runs would be timed, held in pleasant parkland surroundings, open to everyone and free. 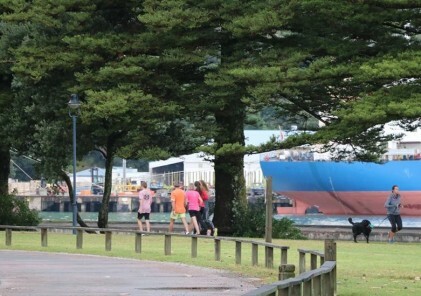 to bring the parkrun concept back to New Zealand so Sinton-Hewitt contacted an old running mate who was living in Auckland, Noel de Charmoy. Noel and wife Lian (supported by daughters Caitlin and Kelly) became the driving force behind parkrun New Zealand, helping McChesney to establish parkrun Lower Hutt then setting up the first of four Auckland locations, Cornwall Park. • … You are done. Free to get to kids sports, Bunnings, or have coffee with your running mates. The ‘rock up and run’ concept is so compelling, there is no excuse to not get out of bed on Saturday morning. T – five minutes People are still arriving – that is the beauty of the ‘rock up and run’ concept – with squeals of delight: “Where WERE you last week?” – hugs and thumps on the back. I am still not quite sure why I am here. Richard Fox arrives in an inflatable Sumo suit – it is Cornwall parkrun’s fourth birthday, and there is close to 100 per cent compliance with fancy dress. Fox is a parkrun aficionado, completing more than 170 events and winning an attendance award at each parkrun ‘birthday’. He remembers the first Cornwall parkrun. “I knew Noel and Lian beforehand so decided to support what they were doing. There were only around 35 of us the first day. I think it was cold and wet, typical July. We all met for coffee after and the war stories started. We start running and I am all over the place. What pace to start? To run? What is the etiquette – how do I pass someone? I gradually become aware of the prevailing mood and realise I am taking this far too seriously. The course is an out-and-back: approaching the turnaround the first speedy-beans hammer by, chasing a race and a PB. That’s cool. Behind them a tranche of wannabe-speedy-beans are working hard; pursuing idols, getting stronger and faster. 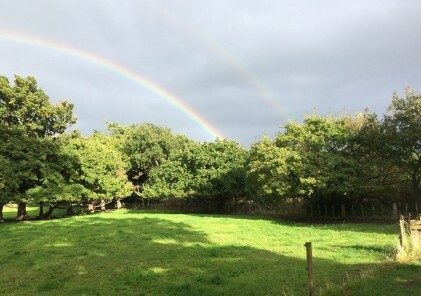 I have a vague sense of having drifted into a fringe commune – everyone I speak with uses the same language: ‘community’, ‘welcoming’, ‘inclusive’. Fox tries to explain it to me: “It’s like anything ritual that becomes a club. People come and people go, but the attitudes are usually the same – maybe except for the elites that come for a training run – otherwise, time is irrelevant. It’s not the run per-se, but the time spent with similar mind-sets. Lian and Noel endorse Fox’s last sentiment. “The success of parkrun is largely due to the spirit of community participation and the welcoming of people of all abilities and ages: newcomers and visitors are always made to feel welcome. 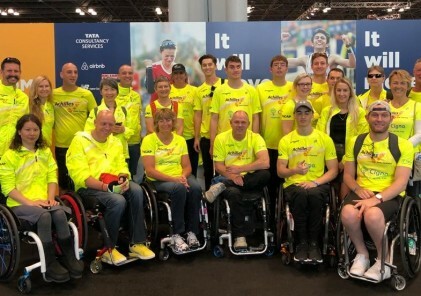 The fact that the runs are free removes the pressure of participation and makes it easier to take part and achieve personal goals – it’s not about how fast anyone can run, it’s simply about getting out and having a go. Hosting an event each weekend sounds like an enormous commitment and labour of love, but Lian and Noel happily tell a different story. “Many parkrunners have a sense of ownership for their home event which helps to build the community spirit and volunteer involvement. Cornwall parkrun results for event #211. Your time was 00:25:44. Really? I can run like that? Cool. Congratulations on completing your 1st parkrun and your 1st at Cornwall parkrun today. 1sts! I like 1sts. You finished in 78th place and were the 14th female out of a field of 174 parkrunners and you came 2nd in your age category VW45-49. Blah, blah – wait, what? 2nd in age category? Well done on your first run. We have set this as your PB. I can do better. Much better. I can beat that – who was it – 1st age grouper, gnash, gnash You achieved an age-graded score of 62.95 per cent. 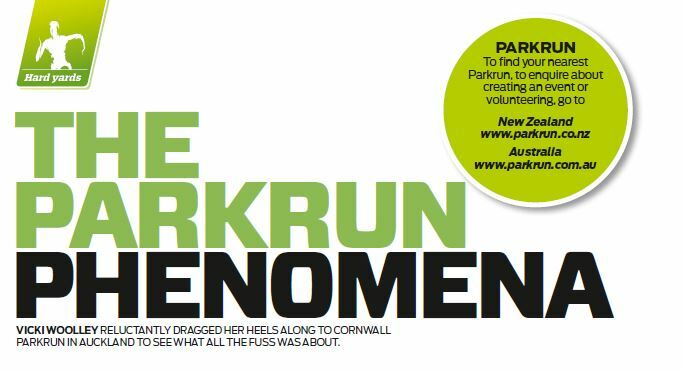 You have earned 87 points for this run, giving a total of 87 points in this year’s Cornwall parkrun point’s competition. I’m already hooked. I’m hooked and I want to go back, but the reasons are complicated. 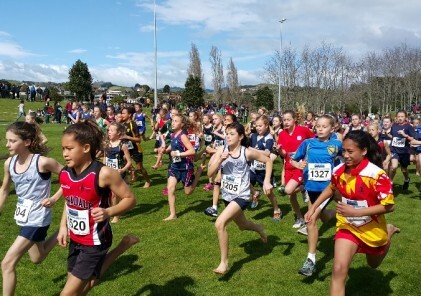 The competitive side wants to set a PB and have a crack at an age category placing. 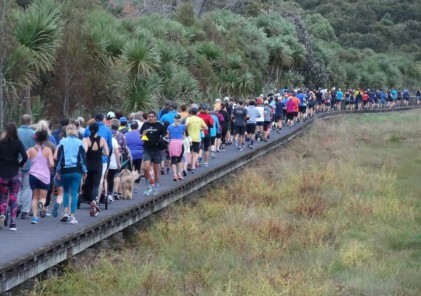 The relentlessly curious side wants to run every parkrun location in New Zealand. Fox assures me that ‘parkrun Tourism’ is a thing. The social side wants to hang out with old, new and as yet undiscovered friends – like the guy in the Smurf suit. What I do know is that parkrun is a thing. - Find out more about Kiwi Trail Runner here.